In case you’d like to flash ESP8266 boards using a phone, you can now do so with ESP8266 Loader app for Android, which also gives you access to the serial console. All you’ll need to an Android smartphone with USB OTG support, a good USB cable, and a few ESP8266 boards such as Wemos D1 mini or NodeMCU. It should also be possible to use a TV box instead. That’s a free app with premium feature, which also means it’s not open source, so any new features would have to be implemented by the developer. 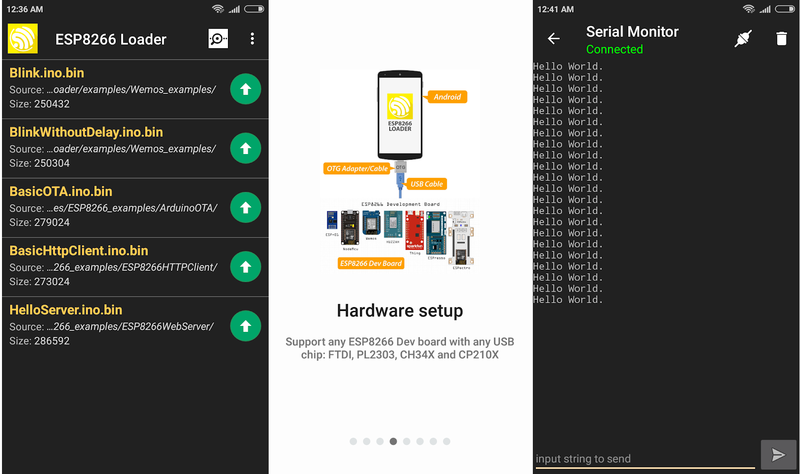 I asked him whether ESP32 boards were also supported, but he answered the app only works with ESP8266 boards. This also got me interested in whether the Arduino IDE would work in Android on Espressif boards, and while ArduinoDroid app offers just that – Arduino IDE on Android -, it does not support ESP8266 boards for now. It’s also a freemium app, and not open source, but the developer launched a crowdfunding campaign last year to add Digispark boards. It got funded, and successfully implemented, so a ESP8266 port may happen the same way. For reference, ArduinoDroid app have been installed over 500,000 times, so there’s some level of interest in developing Arduino sketches on Android. 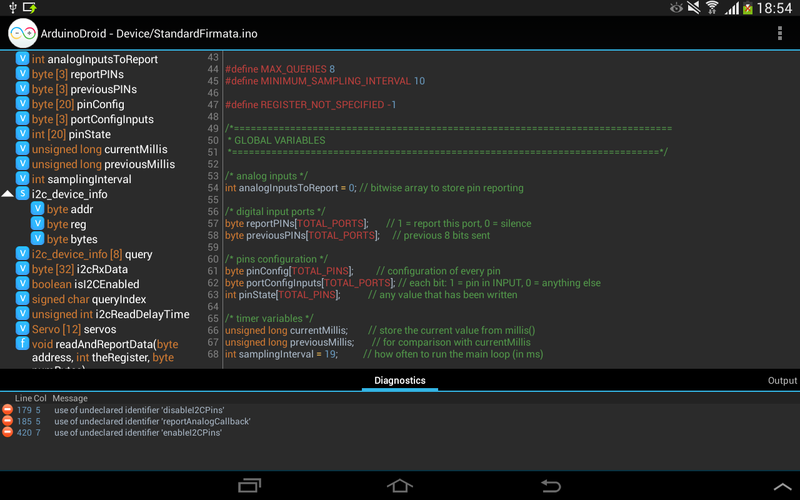 How the heck is ArduinoDroid not a GPL violation? Is it using something other than GCC to compile?